Our lives are getting busier and busier and we often find ourselves having a lack of time even to change our clothes. This means that many times, we have to go straight from the office to some party or other social engagement, which leaves little time for changing. But no need to panic because there are many possible ways of how to transform your day time looks into something more evening appropriate. Below, we have chosen several Elegant Desk To Dinner Polyvore Combos that you can find as an inspiration of how to dress when you plan to go to a dinner right after clocking out. A look can be easily changed with the right accessories. You should choose good basics, let say a simple dress with clean lines. Wear it with a blazer while at the office. And when you head out to the dinner, add some statement jewelry, whether necklace or a pair of earrings. You may choose to change the heels with some fancy ones and combine them with a clutch. Besides dresses, combos with pencil skirts and blouses, as well as the ones with pants and blouses, can take your from desk to dinner too. Again the accessories will play the main role when changing your office look to more evening appropriate. And if you have some extra time, you can freshen up your makeup. Powder your nose, add one more coat of mascara and of course put on some lipstick. 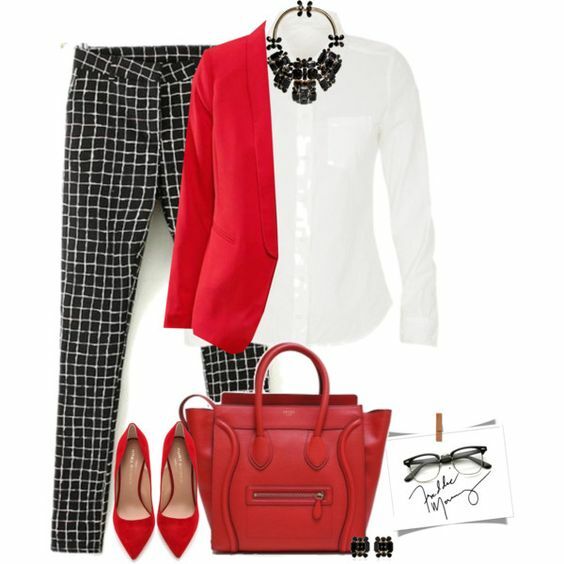 Go ahead now and see the polyvore combos that we have chosen for you today and choose which one of them you would copy. Enjoy! Some of these combos can be worn both at the office and afterwards, without having to change anything. And for the rest of them you will have to bring with you additional pair of heels and accessories and maybe even another piece of outerwear. So, make sure you plan and have everything prepared the night before in order to avoid the rush in the morning. So, what do you think about the above desk to dinner polyvore combos? Which one of them do you like the best? Tell us in the comments and of course stay up to date with our content to find many other polyvore combos that you can draw inspiration from for your next outfits.